just looked at those pictures of the blue one posted on YBW.com. 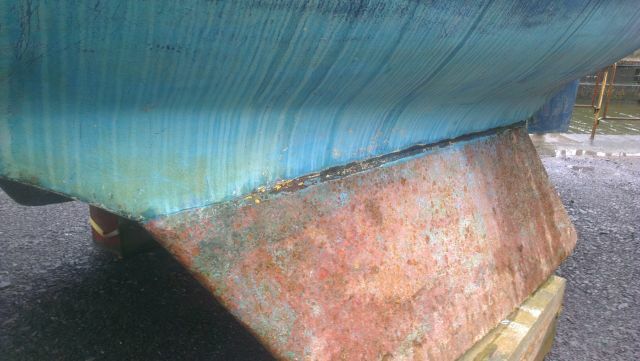 Having found the majority of the internal ply structure on mine to be rotten i’d take a screwdriver and knife to check for rot in the half bulkheads and bearers that the internal moulding sits on. Personally speaking I wouldn’t touch that Blue one with a barge pole unless i was paid to take it away (in the region of a grand,) its just not worth it knowing the damage that that volume of water can do. 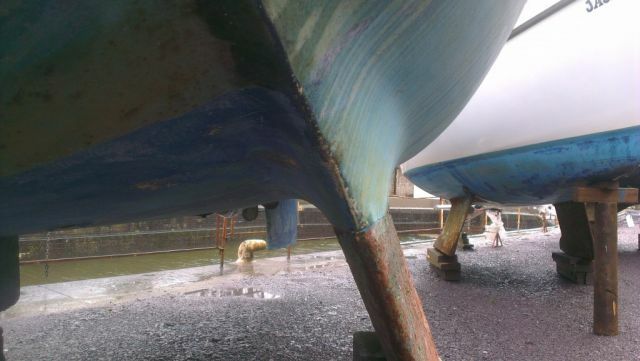 Although its interesting to see the keel joints are 100% watertight, i just dont know why you’d let a boat get to that state of disrepair. Theres better boats out there that are less aggro. Is the engine worth anything at all? Hi Dylan – this boat, along with half a dozen others will be put on e-bay on 28th February. We have to conduct an open sale. If you wish to pursue this you are welcome to make a bid for her on ebay. And the best of British luck! You’ll need it if you get it! it does look pretty horrible doesn’t it? I was with you on this until the 8th picture down. Then shivers went through me as I looked through the rest. So sad that it’s been left to get like this. I think this boat might actually delay your journey. Anything that looks that bad in picture will be even WORSE in person. And any time spent on something that can’t work is time you could have spent locating something that can work. Imagine the time and liability this boat could saddle you with when you find the terrible hidden surprises–and you know you will. I love a diamond in the rough as much as the next man, but I’m not sure there’s anything here you WANT to discover. Best suggestion: do anything you can to forget about this poor decrepit beast and keep looking for another. 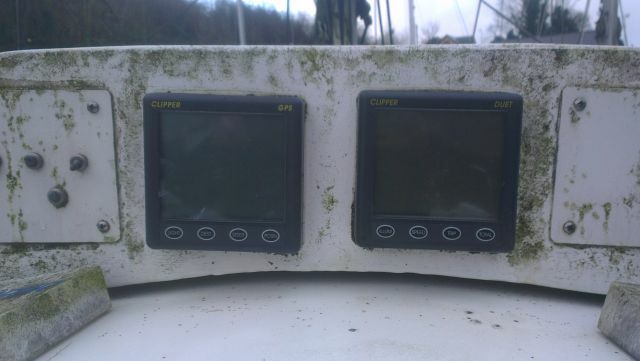 Hi Dylan It looks to me like you are trying to buy a 7.000 GBP boat for 2.000 GBP and at the same time hope to find one which do not require much maintenance. You are not a maintenace man you say in your videos. It is not a realistic benture. You may be lucky to find one at 5.000 GBP but if this is not within your budget, maybe you should consider increasing the budget or adapt your preferences. Another thing to consider is a trade in of you current Hunter. as for raising the price I am prepared to pay…. I’ve learned the hard way that first cost is least cost in these ventures and even more importantly that the time involved to bring these resurrection projects to completion is abominable. I fear this could result in “Keep Turning Left” could become “Stop Turning Left” for a longer period than you would like if the project list is too long. In my opinion, given what you have chronicled so far for the English Coast, the Scottish Tourism Board should give you a suitable boat to use on this part of your voyage and get you on your way as quickly and safely as possible this season. Since following your journeys, I have realized there is so much more to see on your wonderful island than the usual tourist fare (London and surrounds) I have crossed the pond to see in the past. That said, good hunting as you go forward. Nothing is more fun than boat searching (and dreaming) in the off season. you are correct on all points. I am hoping that I can find a better candidate for my adventure into yacht surgery. They are out there – she is calling to me – I just need some-one to help her reach out. the most sensible thing to do would be to just borrow £10,000 from the bank and buy a well looked after Centaur with a reliable engine…. but if my dad discovered that I had borrowed money for something as indulgent as a yacht he would be spinning in his grave. Of course it will be a cold day in hell before the Scottish Tourist board pays an Englishman to do such a job. They would be going for swinging kilts, tossed cabers, peated scotch and gobbled haggis. Why dont’ You try to make an internet financing solution? Give your members an option to pay e.g. 50 GBP via Paypal. If you get 60 payments of 50 GBP it would give you 3.000 GBP which would make the 5.000 GBP boat more realistic, and make it possible for ‘the saga’ to continue? Off course You can look as it as begging. But for Your members it would be a chance to ‘pay for the show’. Its a fair payment I think considering the price on cable TV per month etc. Keep it as an option, remember the internet is pioneering in a lot of ways. To finance a boat by crowd funding would be cool. Dylan, why not crowd fund on the basis that you repay as much as you are able when you sell. In other words sell shares in the boat which you buy for a reasonable sum, do up, sail the Shetlands, Cape Wrath and south as far as suits, then do up a bit more, sell and repay what you can? You needn’t guarantee an increase in value just a fair share on what she sells for. Now, you will probably have to compromise on the engine, as one with a working and reliable inboard will sell easier than one with an engine well, however, your bad experiences with the Slug are most likely due to that installation and engine and won’t necessary be repeated with a good Centaur. When I started there was not that much sailing material on youtube – now there are lots and lots of excellent films on there. I blog about them myself. Amazon costs for serving the films to subscribers are running at around $80 a month. The DVDs do better – I have sold nearly 100 sets of KTL 4 and 5 at $25 each – I make about $15 on each one after repro, post, jiffy bags, inserts, cases and VAT – useful revenue but not enough to buy a Centaur. so there are perhaps 350 people who are keen enough on KTL to buy in as opposed to just watching with interest on here, the forums and on youtube with the nag screens. For a while I did have a donate button – it made me uncomfortable and earned zip-all anyway. Oddly enough, two years ago when “The Beast” was giving me mega-gyp – (bad enough to make me consider throwing in the towell) I did get some donations – enough to get it going again. I think those were blokes who loved old single cylinder engines. Journalism is still my main source of income – some sailing – some other types. However, sailing is the passion. I have never enjoyed my sailing more than I am now although with the boat in Sciotland and me in Buckinghamshire I do not feel like a sailor between trips up the M1. One of the reasons for not spending a lot of money on a good boat is that there are so many wonderful little drying harbours I want to get into and some beaches and creeks to explore. Those Scottish harbour walls are really aggressive and a decent swell could turn a £10,000 Centaur into a £5,000 Centaur overnight. I am also really worried about the lobster pots. I do not know if the firth of Forth is worse than elsewhere but their 1 litre oil cans and polyprop lines are the giddy limit. I have three m onths to find a boat – if I have to dig deeper to find one then so be it. Shorter term the POLO has gone zip so I need to find another clunker to replace it. Westerly Centaurs are still very highly regarded (I am not an owner) and people are prepared to take wrecks on and re-engine, reupholster and fit out because they are so bullet proof. I agree with your motive and I wish you the very best of luck. Think it would be great to do this journey with your family, but really think that you are being a little unrealistic about choice of boat / price ratio. How about something cheaper like a Macwester? A good Centaur is worth more than Katie! you might be right…. I failed to buy the boat in Southampton because I did not have the funds in place – that went for £1750 – A layout, spade rudder. Another engineless one went for £800. There is one in Wales for £3K. The boats are there – sitting unused – the bills are piling up. I have three months before plan B and C slip into place. No rush. Time will tell. Plan D: Rent a cottage in Scotland in reasonable proximity to the coasts. Your family (and you) would have a shoreside base that doesn’t require long commutes. Then you could take your family members (and dog) in various combinations for various lengths of cruising without inciting calustrophobia-induced mutiny. And, if Katie L is up to the sailing conditions, you wouldn’t need a Centaur at all. 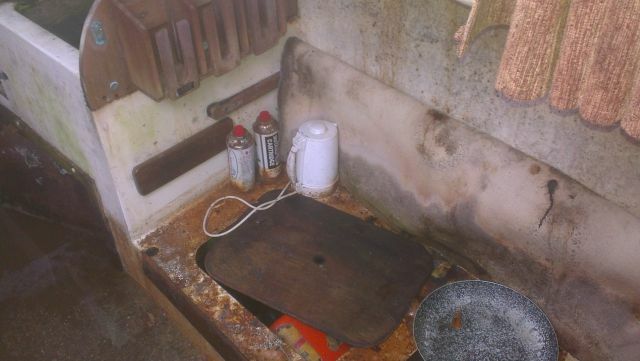 three months in a cottage over the summer…. Stick to your plan Dylan, I expect more Centaurs with be up for sale in the Spring, especially when bills for storage start dropping through the post! 2, Buy a Centaur (put a lot of effort in, buy a bargain etc etc) etc very important! 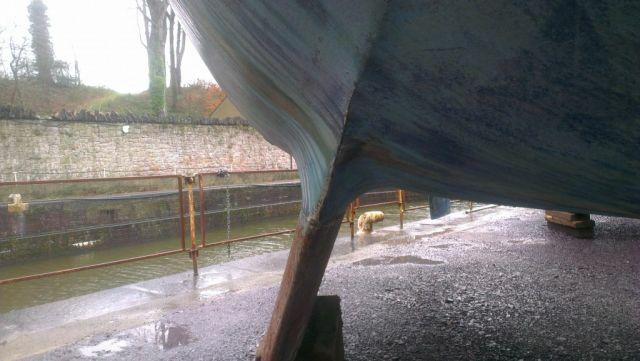 5, Sell, your now semi famous, proven reliable boat, for a slight profit. 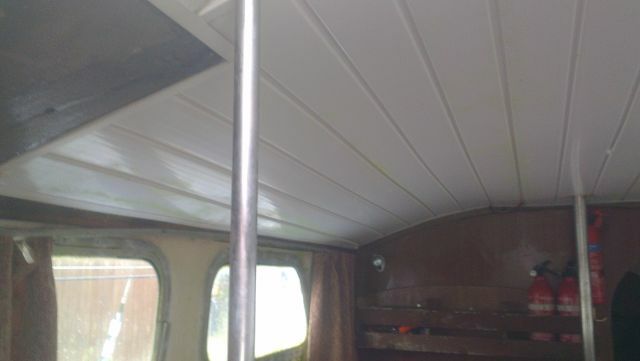 6, Pay off bank loan, sit on KTL drink a glass of wine and laugh your socks off at the very idea of you, a fantastic film maker and entertaining sailor spending months slaving on a tricky refurbishment, when you could be sailing (you know refurbs always cost more than you think). 7, Have second glass of wine, pick another classic boat, sail to the black sea and repeat as above. pleased to have you aboard. Your plan is a most excellent one…. in parts. 5/ making money from films… total revenue this year from downloads and DVDs was £4,200. Outgoings on KTL exceed the £4,200 by some considerable amount if you include petrol for the car, VAT, mooring fees, insurance, inland waterways license, Google Earth license, Amazon server costs for the downloads, disk copying fees, jiffy bags, postage. this means that every hour I spend sailing or at my desk making videos I make negative money. I am sure that as a tax advisor you are well aware of the concept of negative money. On the good side the bit about drinking the wine and enjoying the sailing is spot on. as the yanks say… the old clunker route means that I have less skin in the game. Wow this thread seems to have set the sugeestions pouring in, I couldnt resist contributing. 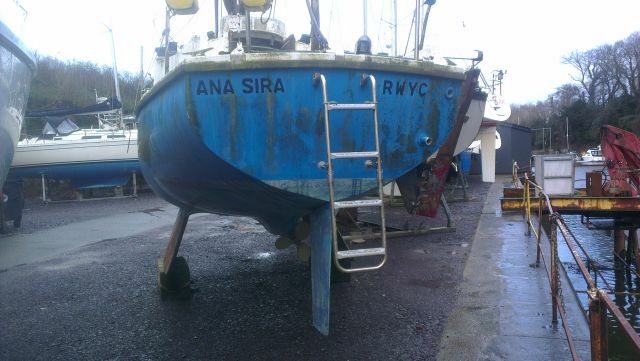 Possible help : I’d be delighted to sink, sorry “invest” £100 in a share of the Centaur project to buy a share in the boat (ps I recall that full part ship registrations are in shares – which could be useful). The great thing about this potential crowd source funding scenario is that the investors wouldn’t be able to take their eyes off your blog, from your every post as they see “their” boat’s progress. It adds an additional element of involvement. To top your funds up you could do it with say 70 people at £100 each ? Can I suggest a plan E : As you point out the problem for an old Centaur that needs a new engine, a new leas of life, is that the cost of re-engining doesn’t stack up against the resale value you get afterwards i.e.You lose money. 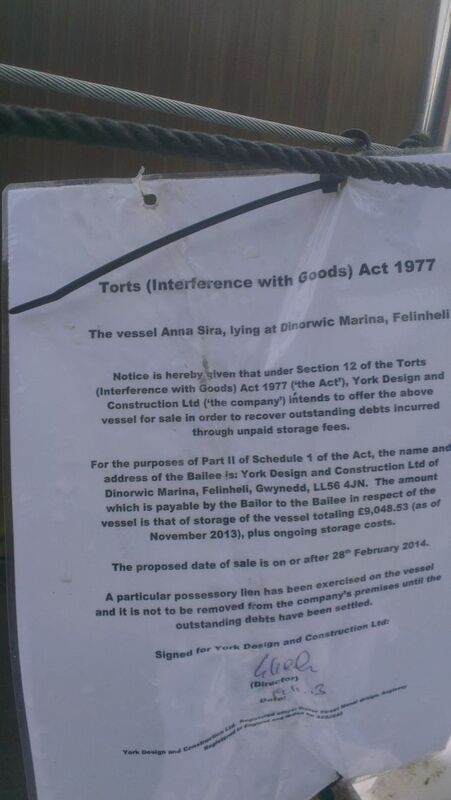 But what if you offered the owner in that predicament say £1,200 contribution to the re-engining for in return the loan of their boat for this Summer. You’d then have a fixed affordable cost of £1,200 and a boat with a newly installed engine including newly installed razor sharp over-sized rope cutter on the prop. Maybe PBO would find value in a series on the installation of a new engine. With tall their expert advisors they could put their oar in in planning the project as a sort of ‘this is the best way to do it’ ? including all the ins and outs as to why. And maybe act as a guide for the way to go for those many other Cantaurs needing a second lease of life ? As for the possibility for wrecking the boat in part or whole – well there is insurance available in UK waters – its not like your crossing an ocean ? Wishing you every possible fair wind in what ever route you end up going down – I’m sure it will the right one. Blimey, really, you in for a ton? What would your missus say if she knew the way you are prepared to spend her hard earned cash? There are some crazy men out there – and you stand in the front rank. Wonderful. Re-engining costs around 6K – that is 4K for the engine and 2K for the rest of the gubbins and the man to fit it. That is serious pesetas. Honda have offered me the loan of an outboard for a year – and some money for some words for their magazine. 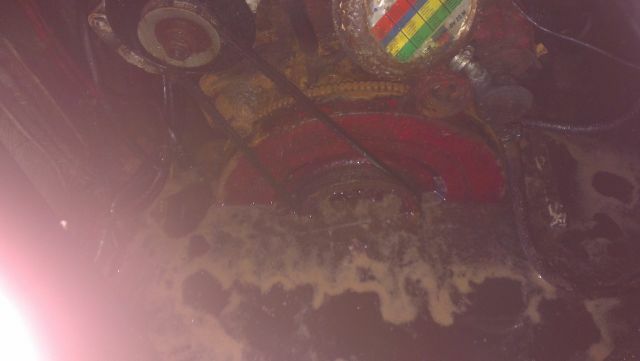 So if I go the engine well route then I have a free engine – and one that will be 100 per cent reliable and lobster pot proof. I will let plan A unfold for a few weeks yet before going to plan B – which is the higher cost route involving an inboard. as for you being sure that whatever I do will be correct – man you are so wrong on that one. Rather like the idea of a Nomad in a Nomad. Just a thought. Keep up the good work. Not spend Dylan, invest a £100. It would equity not debt – so your dear father need not turn over in his grave. Effectively you’d be sailing a bunch of other people’s boat. And they would get reimbersed when you sold the said Centaur with a relevant proportion of the proceeds. Investors get the added interest in the project, involvement, you get an appropriate boat to do it in. Seems a win win. 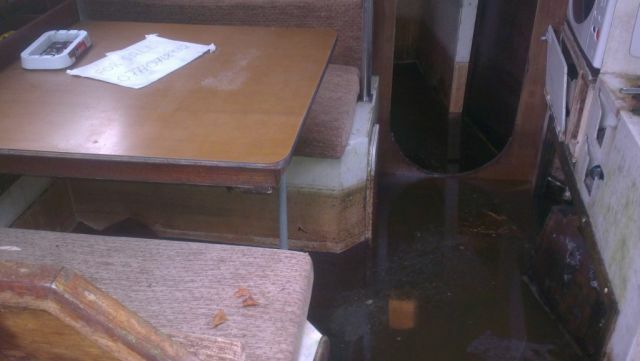 You could even have a launch party for the investors when they see their investment hit the water after re-fit. I can see that the well idea does have its merits. The difference in additional fuel costs for an auxilliary on a displacement sailing boat over a season must 4/5ths of not very much at all, and I doubt there are going to be many windless days where you’re going. Incidently, after much research on outboards for the Seal 22 I used to have, I did notice how much quieter the 2 cylinder engines were over the single – I hope if you’re going up to 10hp you’re into 2 cylinder territory. – I miss several things about the beast – the sound of her voice was pretty good, the heat she produced, the electricity. they are close to it if I have a spare or two on board – and if I get a rope around it I can lift it out, replace the shear pin and carry on – get a rope around an inboard prop and it is either a dive over the side, a lift out or a run aground and wait for the tide to go out. Good luck on whatever plan you choose. Happy to go £100 if thats the chosen plan. if engine blew up £6000/71 investors is only £84 extra, Happy to take on the risk. Just watched the Tobemory yacht race, fab clip, really enjoyed it. You could try for another viral you tube and start a new google account. I am sure if you said you wanted to turn the centaur to a gaff rig and use a seagull to power it (in comparison with the Honda) it would generate a lot of controversy! you are correct – imagine the fear when she first hits the water… aaagh! 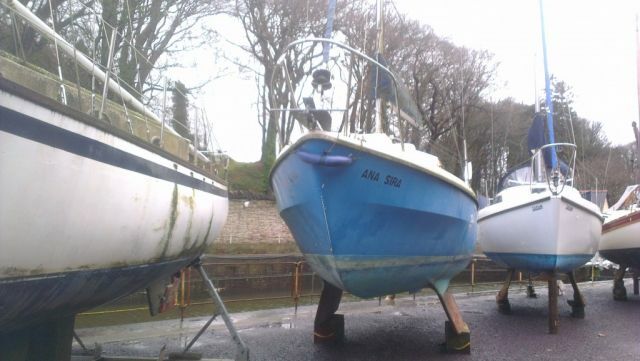 6 other boats going up for auction, 7 including this one. Auction starts this week, ends 28th Feb.